Compact, tough, and portable safety for your audio equipment. 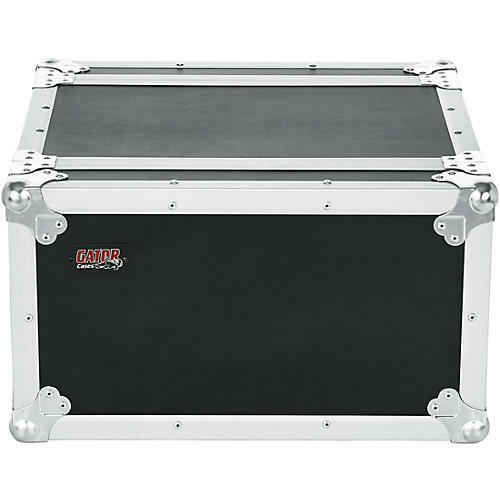 The Gator G-Tour EFX 2 ATA Rack Case features tough 9mm plywood construction with a PVC exterior, reinforced stackable corners, spring loaded recessed handles and latches, 3.2mm thick front and rear rack rails, shallow 13" rackable depth with the lid removed, heavy-duty zinc plated hardware, and a tongue and groove extrusion aluminum valance. Call or click today for your ATA flight case.